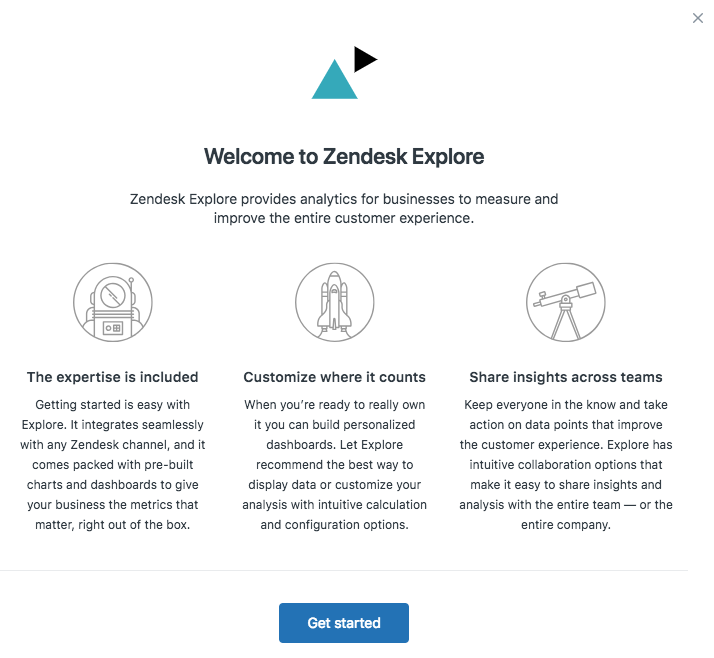 New customers who signed up for, and existing customers who upgraded to Zendesk Support Professional or Enterprise on or after November 13, 2018 can use Explore and do not have access to Insights reporting. Existing customers, prior to November 13, 2018, can use Explore after their account is upgraded and continue to have access to Insights reporting. Use this article to learn about how to activate and get started with Explore. Important: You must be a Support administrator to activate Explore. Before you start, ensure that you are using one of the web browsers that Explore supports. No versions of Microsoft Internet Explorer are supported. If you don't see Explore in these locations, it means you haven't been upgraded yet. Get in touch with us to find out what you can do. These instructions assume you are setting up Explore for the first time. This only needs to be done once for the subdomain, not for each user. If you have been upgraded from Insights, you won't see all of these pages, but the workflow is similar. Click Try Professional for free. If you are a new user, you can enroll in a free trial of Explore Professional for 30 days. During or after this trial, you can either purchase Explore Professional or downgrade to the free version, Explore Lite. 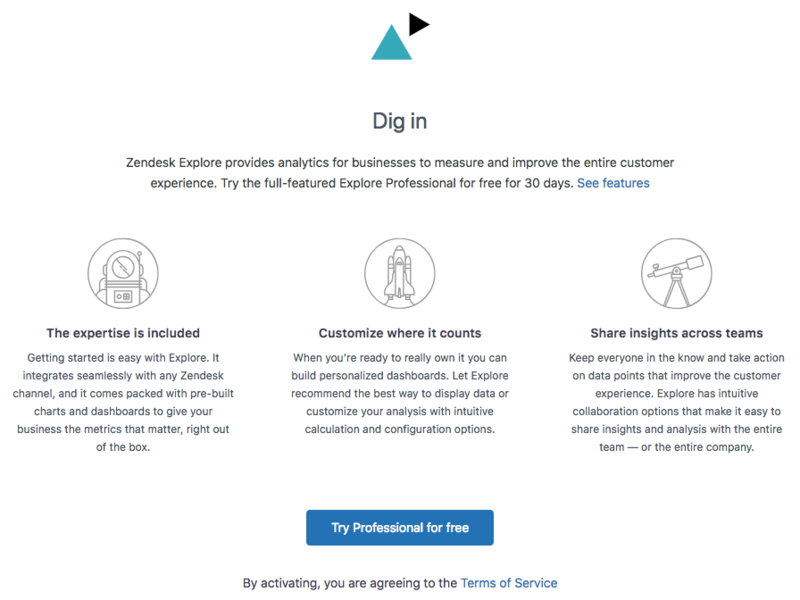 To read about the different plans for Explore, see Zendesk Explore pricing. If you were previously an Insights user, you'll see an option to activate Explore. You'll now see this page as Explore begins to activate and prepare your data. Depending on how many tickets you have, this process might take some time. If you don't want to wait, select Notify me when Explore is ready. Once this process is complete, Explore sends an email to anyone who asked to be notified and displays a notification in Support. Explore is now activated, and ready to use. 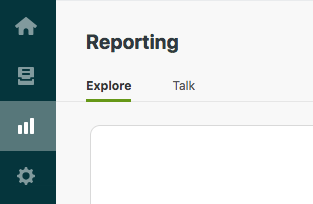 Now that you've activated Explore, your agents can start working with reports. Agents are by default assigned the Editor role which enables them to create and share reports. You can change a users role from Zendesk Support. Additionally, you can change the default role for all new users from the Explore admin pages. To learn more, see Adding users to Explore. When you're ready, you'll find some great information in our Getting started article. 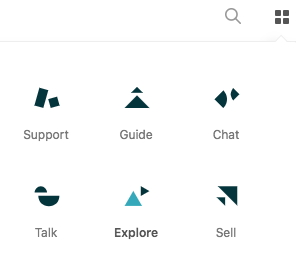 If you have any questions about Explore, read our Zendesk Explore FAQ article.